Save a massive 50% on competitors prices on the market leading flea and tick control spot on. Rest assured that I will spread the word and always praise the sales and customer service departments at Joes. You rectified my mistaken order last evening within an hour of my placing it with a prompt and courteous phone call from customer service. I did not ask for the name of your representative who handled the case but if you can identify her from the records then please extend my heartfelt thanks to her for her professionalism and prompt service. Welcome to Joe's. If you are like us then you must be sick and tired of paying the inflated prices that vets charge for pet meds. Sure we take our pets into the vet for their annual checkup and we recommend that you do to but we can't afford to pay anymore than we need to so as to keep our dogs and cats flea free and healthy. Joe setup a Joe's Pet Meds to ensure that we can now all enjoy discount pet medications everyday. Joe's Pet Meds is run by a small but enthusiastic team of pet lovers. The boss, Joe, is a crazy guy that is obsessed with slashing prices. He is always telling us to "discount this" or "liquidate that". He certainly keeps us on our toes! Of course the real winners of Joe's obsession with selling cheap pet medications are are our customers. We have already served over 200,000 satisfied customers in just a few short years. How do we know they are satisfied with our service? They tell us all the time! We have literally thousands of testimonials and great customer feedback. We'd love to have your feedback to - you can even email us a photo of your pet. 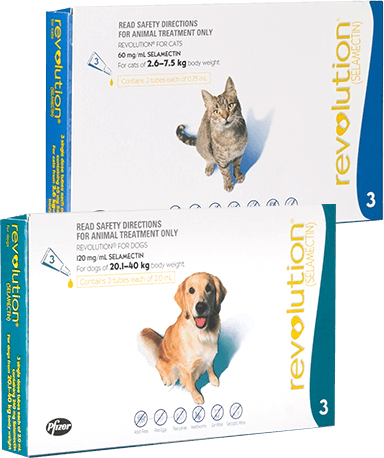 Why Buy Discount Pet Medications at Joe's? The cheapest prices. That's not an idle claim. We check our competitors prices regularly to ensure that we offer the very best value. Got a question or concern? Just contact us and we'll answer it. We love our dogs and cats. As pet owners ourselves we understand that you only want the best possible care for your dog or cat. We wouldn't accept anything less ourselves. We're really nice people, really we are! 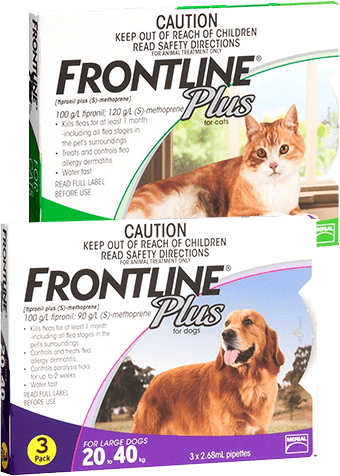 We carry all of the most popular pet medications including Frontline, Advantage, Advantix, Revolution, Heartgard, Interceptor, Sentinel, Drontal, Droncit and many more. 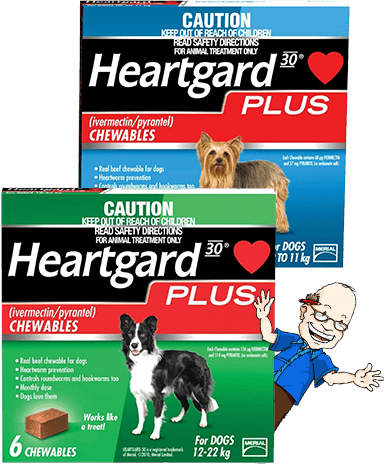 We offer these brand names pet meds for the lowest possible price anywhere. You can even buy your brand name pet meds in a 12 month supply and you will receive a discount on the 6 month supply price. In some cases you can save even more by buying a generic of the brand name pet medications. Not all brands are available as generics but if they are you can be sure that we offer the generic for the best possible price as well and it is usually a small fraction of the cost of the brand name drug. We are often asked if you need a prescription for your pet medications. If you require a prescription for any product on our web site then you'll see an Rx symbol clearly displayed next to it and you'll be prompted to enter your prescription details during the checkout process. If not then the pet meds are sourced and dispensed from a jurisdiction that does not require prescription.